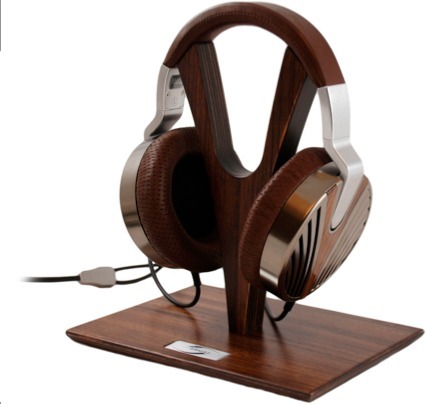 Edition 10, HiFi/audiophile headphone from Ultrasone in the Edition series. Ultrasone Inc., distributor for German headphone manufacturer Ultrasone AG, announces the release of its first open back special edition headphone – Edition 10. With Zebrano wood ear cup inlays, Ethiopian sheepskin leather ear cup pads, Titanium plated drivers, Kevlar coated cables and a limited number of 2010 units available, Ultrasone’s Edition 10 is described as "the result of years of painstaking R&D to ensure the first open backed special edition headphone met the rigorous standards set by its predecessors." The outer ear cup is finished with galvanic Ruthenium plating and with a Zebrano wood inlay, which is coated with eight layers of clear lacquer for protection. The Edition 10’s inner ear cup, as well as the head-pad, is adorned with reddish brown Ethiopian sheepskin. This type of leather is known for being the most supple leather available, achieving the maximum level of comfort and sound isolation, the company says. The drivers selected for the Edition 10 have been tuned for open back headphones. The Titanium-plated 40mm drivers have been designed with a 10% more powerful magnet for enhanced sound pressure levels. Each set of drivers have been individually paired with a tolerance of +/- 0.4. Each Edition 10 headphone comes with a hand crafted Zebrano wood headphone stand and is housed in its own wooden box for safe storage and transportation. Only 2010 Edition 10 headphones will be produced, each one will be embossed with its own serial number. The Edition 10 headphones have a MSRP of $2,749 and will be available at www.ultrasone.comand high-end audio retailers worldwide. 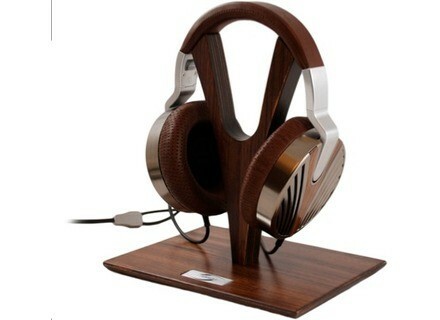 For additional information on Ultrasone’s Edition 10 headphone, go to www.edition-10.com. Ultrasone Pro 2900 Ultrasone Inc., distributor for German headphone manufacturer Ultrasone AG, debuted the open-backed headphone in its legendary PRO Series, the PRO 2900.